"Lind (emer., Univ. of Colorado, Boulder) and Sanders (Univ. 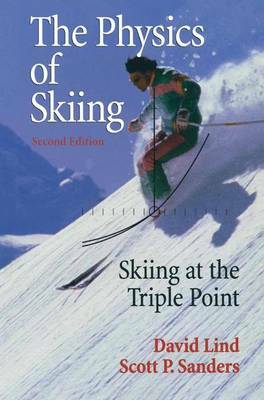 of New Mexico) offer this new edition, which retains the virtues noted in the review of the original (CH, Jun'97), derived from the serious application of physics to the enhancement of the understanding and experience of skiing. Skiers will find practical information with or without recourse to the (admittedly demanding) underlying physics. Teachers of physics will find an excellent primary or supplementary text detailing the physics of snow as well as a practical--dare we say, cool--demonstration of mechanical and aerodynamic principles. Historians of technology will find a case study of the application of scientific knowledge to the improvement of an originally "cut and try" technology. That prime demographic audience of physicists who also ski will find this book, naturally, definitive ... Summing Up: Highly recommended. Upper-division undergraduates through faculty."